Polish import AK47 from Pioneer Arms 2.0: No Go! AK47 / 74 Picatinny Rail by Polish WBP – The Good and The Bad. C39V2 AK – Ticking Time Bomb? Joint video with Tim from Military Arms Channel! This is Tim’s C39V2 – this isn’t mine C39V2 – but watch it!!!! ACOG TA44 with ACSS for AK, AR – Like RED DOT on STEROIDS! 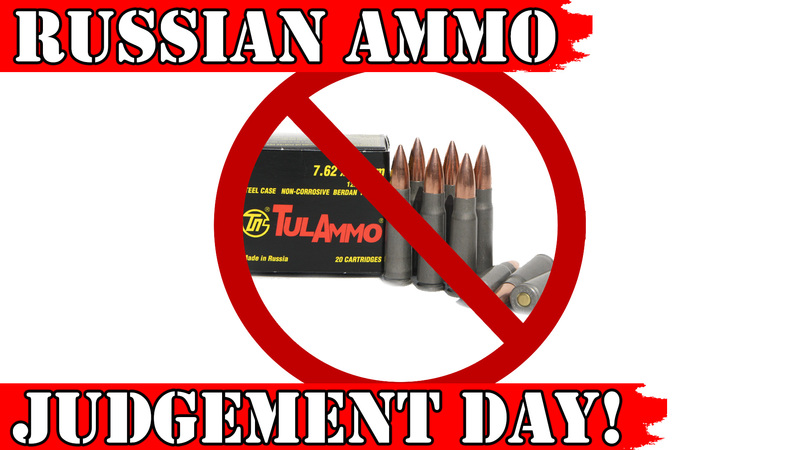 Russian Tula Ammo Ban – Judgement Day! Yesterday we discussed the fact that on December 4th, 2017 the Secretary of State issued “guidance” to specify the following as persons that are part of, or operate for or on behalf of, the defense and intelligence sectors of the Government of the Russian Federation (long list to follows this, but ROSTEC is on it): Rostec (Russian Technologies State Corporation). Now, why ROSTEC is important? Because Rostec owes 100% shares of the JSC NPO Vysokotochnye kompleksy. Why we should care about JSC NPO Vysokotochnye kompleksy? Now I have more bad news. On October 27, 2017, the US Department of State issued public guidance on the implementation of Section 231 of the Countering America’s Adversaries Through Sanctions Act of 2017 (CAATSA). CAATSA requires the imposition of certain sanctions on persons who have knowingly engaged in a significant transaction, on or after August 2, 2017, with a person that is part of or operating for or on behalf of the defense or intelligence sectors of the Government of the Russian Federation. Denial of Export-Import Bank financing. The President may direct the Export-Import Bank of the United States not to give approval to the issuance of any guarantee, insurance, extension of credit, or participation in the extension of credit in connection with the export of any goods or services to the sanctioned person. Export Sanctions. The President may order the United States Government not to issue any specific license and not to grant any other specific permission or authority to export any goods or technology to the sanctioned person under the Export Administration Act of 1979, the Arms Export Control Act, the Atomic Energy Act of 1954, or any other statute that requires the prior review and approval of the United States Government as a condition for the export or reexport of goods or services. Loans from US financial institutions. The President may prohibit any United States financial institution from making loans or providing credits to the sanctioned person totaling more than $10,000,000 in any 12-month period unless the person is engaged in activities to relieve human suffering and the loans or credits are provided for such activities. Loans from international financial institutions. The President may direct the United States executive director to each international financial institution to use the voice and vote of the United States to oppose any loan from the international financial institution that would benefit the sanctioned person. Prohibition on designation as a primary dealer. Neither the Board of Governors of the Federal Reserve System nor the Federal Reserve Bank of New York may designate, or permit the continuation of any prior designation of, the financial institution as a primary dealer in United States Government debt instruments. Prohibition on service as repository for government funds. The financial institution may not serve as agent of the United States Government or serve as repository for United States Government funds. Procurement sanction. The United States Government may not procure, or enter into any contract for the procurement of, any goods or services from the sanctioned person. Foreign exchange. The President may, pursuant to such regulations as the President may prescribe, prohibit any transactions in foreign exchange that are subject to the jurisdiction of the United States and in which the sanctioned person has any interest. Banking transactions. The President may, pursuant to such regulations as the President may prescribe, prohibit any transfers of credit or payments between financial institutions or by, through, or to any financial institution, to the extent that such transfers or payments are subject to the jurisdiction of the United States and involve any interest of the sanctioned person. Property transactions. The President may, pursuant to such regulations as the President may prescribe, prohibit any person from (1) acquiring, holding, withholding, using, transferring, withdrawing, transporting, importing, or exporting any property that is subject to the jurisdiction of the United States and with respect to which the sanctioned person has any interest; and (2) dealing in or exercising any right, power, or privilege with respect to such property; or conducting any transaction involving such property. Ban on investment in equity or debt of such person. The President may, pursuant to such regulations or guidelines as the President may prescribe, prohibit any United States person from investing in or purchasing significant amounts of equity or debt instruments of the sanctioned person. Exclusion of corporate officers. The President may direct the Secretary of State to deny a visa to, and the Secretary of Homeland Security to exclude from the United States, any alien that the President determines is a corporate officer or principal of, or a shareholder with a controlling interest in, the sanctioned person. Sanctions on principal executive officers. The President may impose on the principal executive officer or officers of the sanctioned person, or on persons performing similar functions and with similar authorities as such officer or officers, any of the sanctions under this subsection. Big thanks to Erek C. and Trevor B. for helping on this. PS. If anyone else has different interpretation of Section 231 of CAATSA, please let me know and I will add this to this post!!!!! Is Tula Ammo Banned from import to USA? This is hop topic lately since on December 4th, 2017 the Secretary of State issued “guidance” to specify the following as persons that are part of, or operate for or on behalf of, the defense and intelligence sectors of the Government of the Russian Federation (long list to follows this, but ROSTEC is on it): Rostec (Russian Technologies State Corporation). Now, can someone with deep legal knowledge please comment on this? 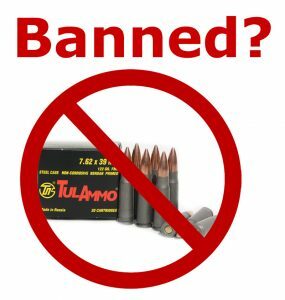 Is ATF revoking Form 6 on Tula ammo imports? 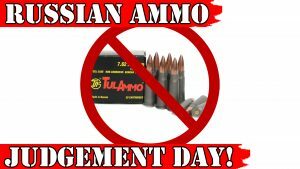 Loss of Russian imported ammo would be devastating to the hobby across the board – everyone would suffer, Russians sell tons of ammo in 223, 9mm and so on…every gun lover in USA would suffer from it. However, it would be catastrophic blow to those Russian companies as well.